The Buglin’ Bull Restaurant and Sports Bar in downtown Custer, SD has a full service restaurant on one half, and a bar on the other half. They also have a rooftop deck as well. 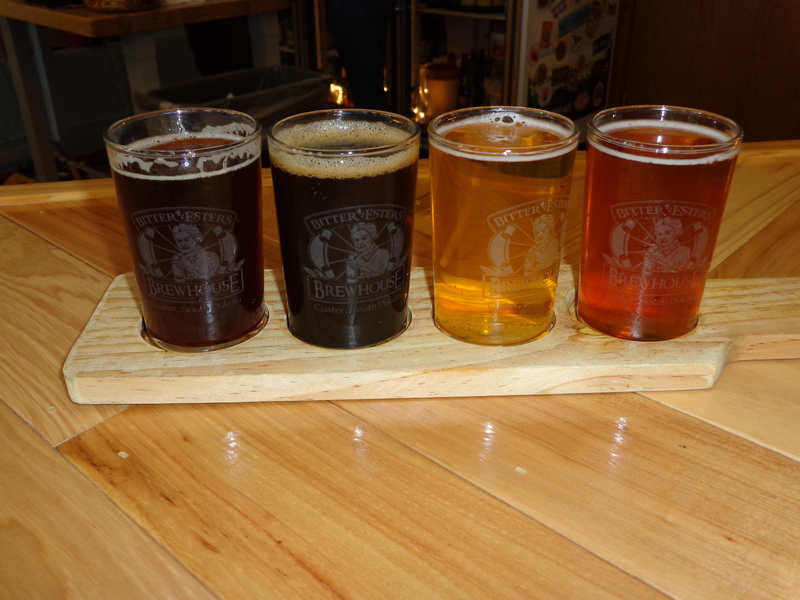 With just 4 different selections of craft beers, they offered the least variety, but still had some good flavors. We both enjoyed the Elk Poop Stout the best. 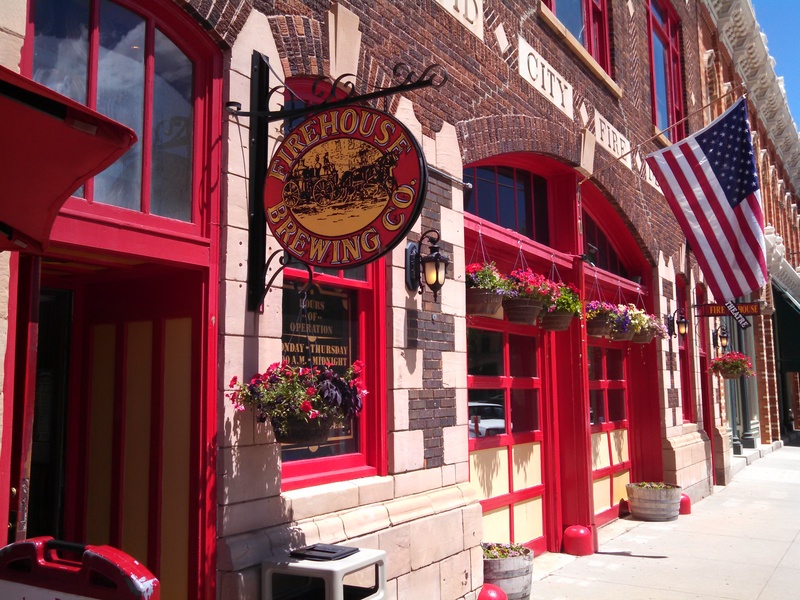 The Firehouse Brewing Company, in downtown Rapid City, is housed in Rapid City’s first firehouse, built in 1915. 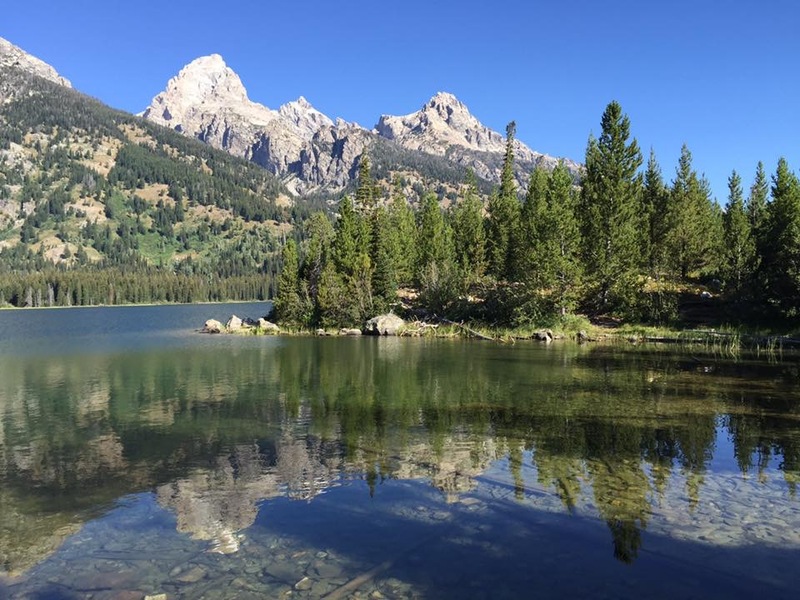 It has a full service restaurant, with a wide variety of food, and reasonable prices. The have a rotation of nine craft beers on tap, including seasonal brews. These were the beers on tap on the day we did some sampling. Lot’s of different types of ales, from pale ales, brown ales, Scottish ales as well as wheat beers, stouts, and a very good cider beer called Teachers Pet. Normally we don’t care for the cider beers, but this one had more of a beer flavor than the sour apple flavor. It took some doing, but we managed to get through the long line of beers to sample!!! 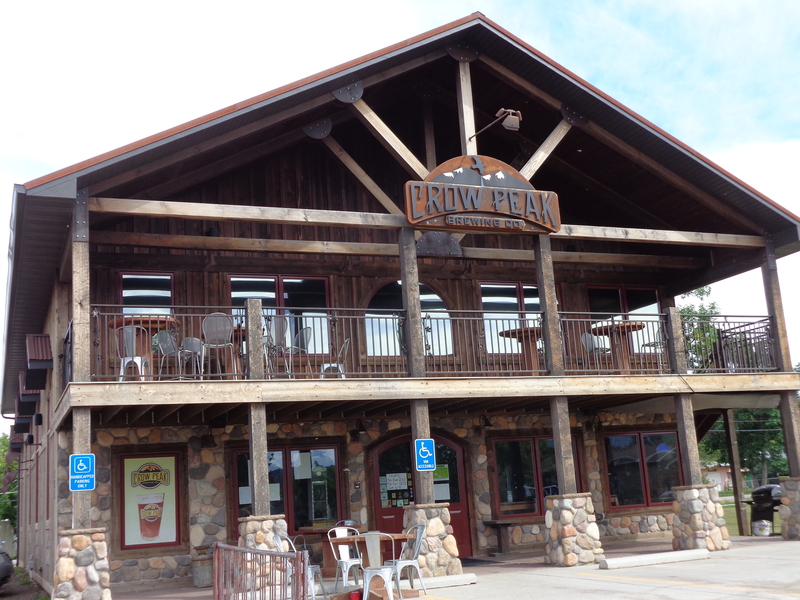 Crow Peak Brewery in Spearfish, SD was established in 2007,and is the only brewery that offers cans and bottles of their flavorful beer (Although they have a very limited selection). They have a large variety of beers, including seasonal selections. 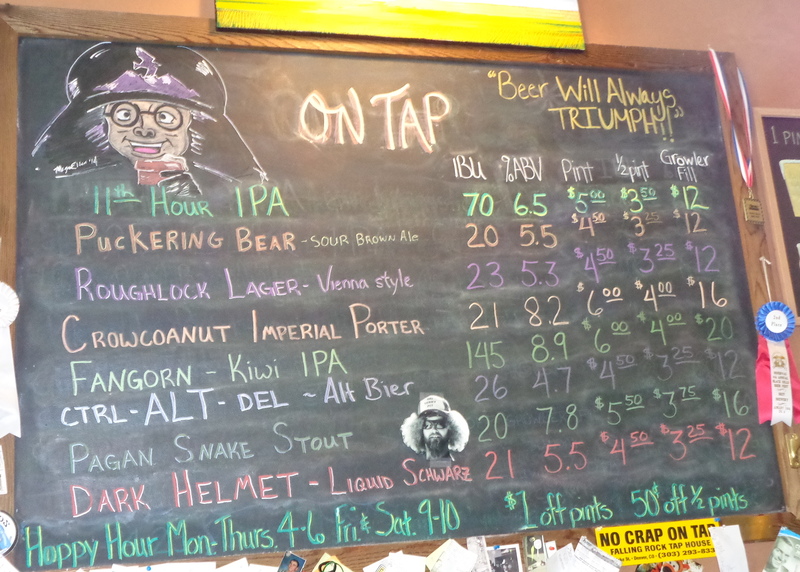 When the menu is on a chalkboard, you can expect a constantly changing variety of fresh beers. They have tasting flights of 4 beers. 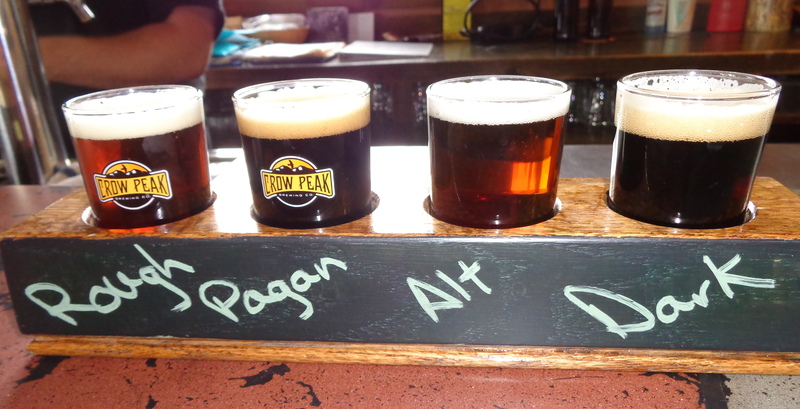 Our favorite beer was the Pagan Stout, which they unfortunately do not (yet) bottle. 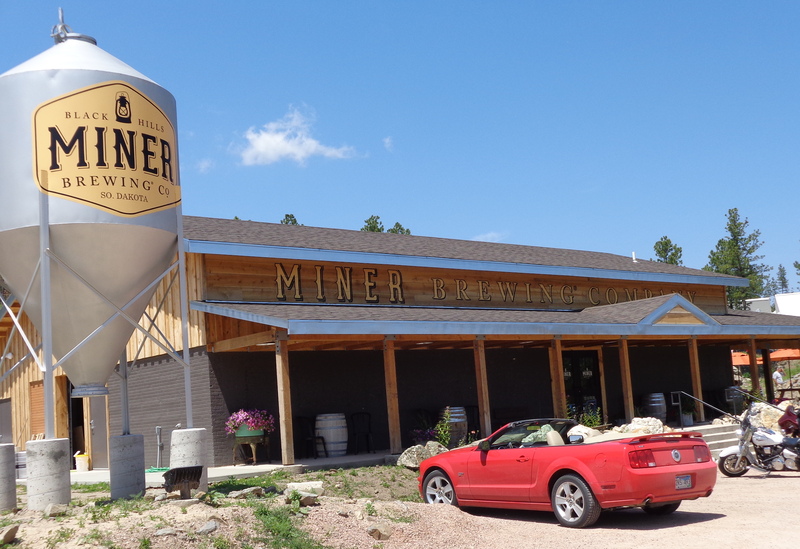 Miner Brewing Company in Hill City, SD is a brand new, opening in the fall of 2013. 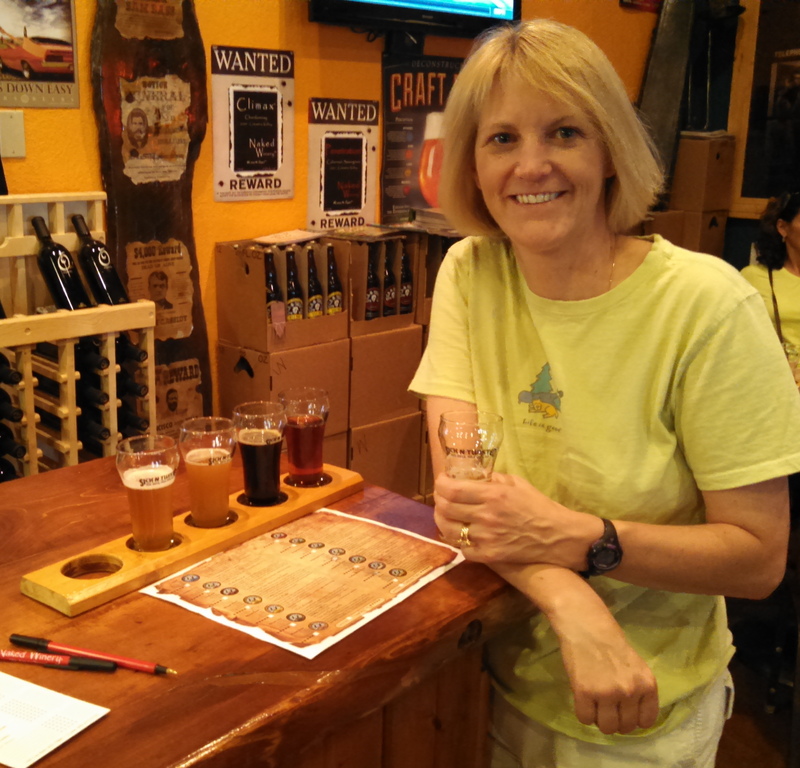 The owner/brewmaster is part of the family that owns the Prairie Berry Winery that is located next door. We stopped in several times for tasting, as they also rotate the beers on tap. When our friends Forest and Mary stopped in for a visit, we stopped off for some sampling after a day of playing tourist. 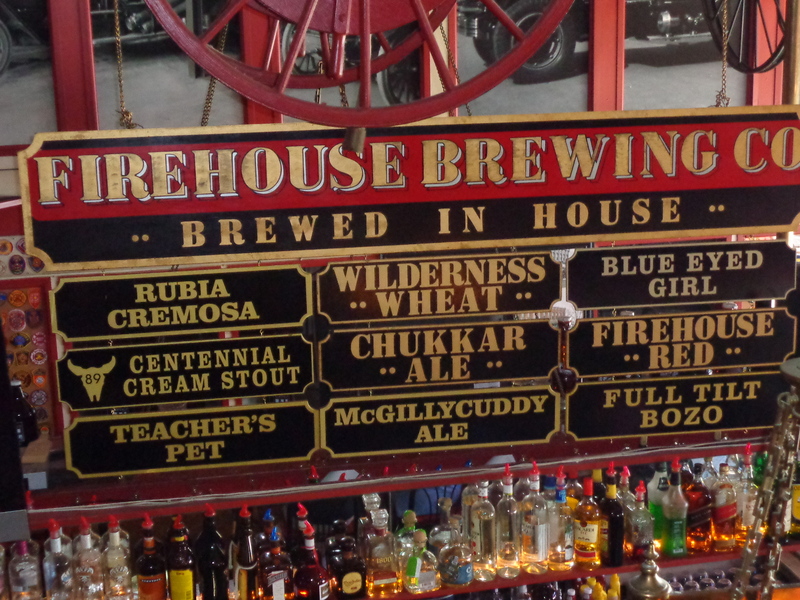 They have a wide variety of beers, and we all enjoyed their oatmeal stout. 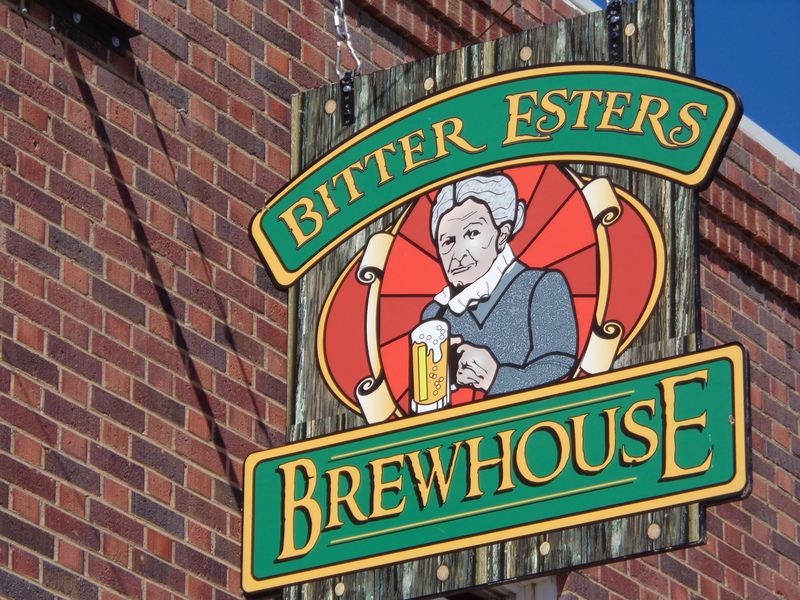 Bitter Esters Brewhouse is right in the heart of downtown Custer. They pride themselves on using locally grown ingredients whenever possible. 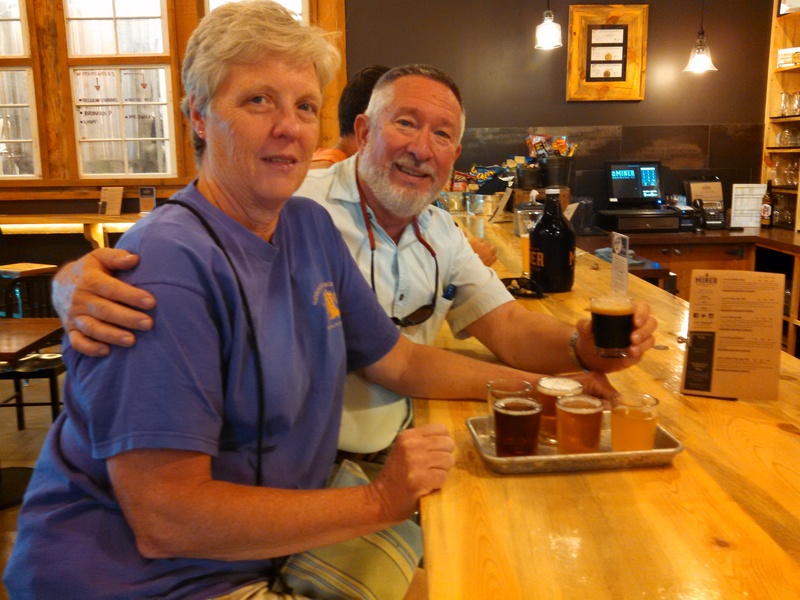 They also consider themselves to be a Nano brewery, which is a very small craft brewer. They offer a limited menu of food. 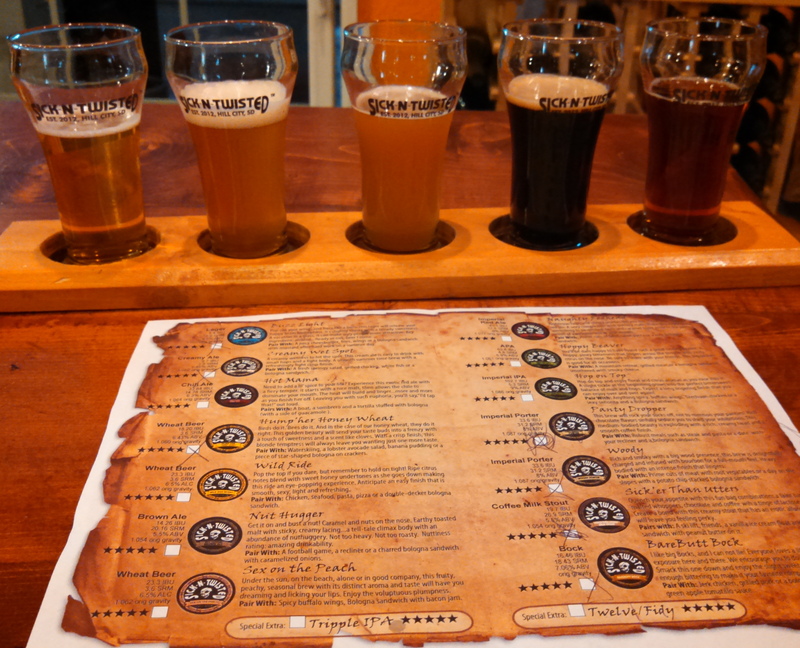 They have a variety of beers, brewed in small batches. The Sick-n-Twisted Brewery shares space with the Naked Winery in Hill City, SD. They had the largest variety of beers, but we were not too impressed with the ones we were able to sample. They did have some creative names for their beers. If you do enjoy beer, and you are in the area, stop in for a sample or two. 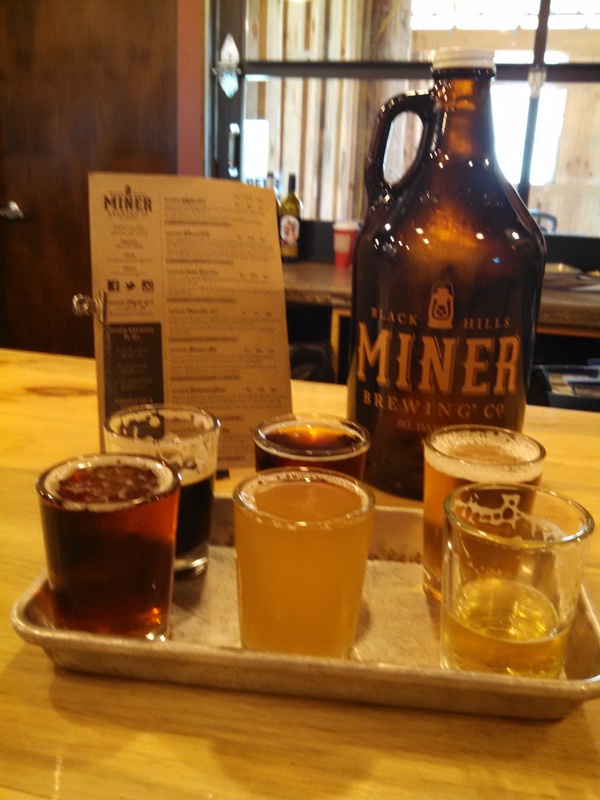 Our favorites were Crow Peak, Miner Brewery and Firehouse Brewery. We did sample several glasses of wine at three of the wineries just north of Hill City: The Naked Winery, Prairie Berry, and Stone Faces. 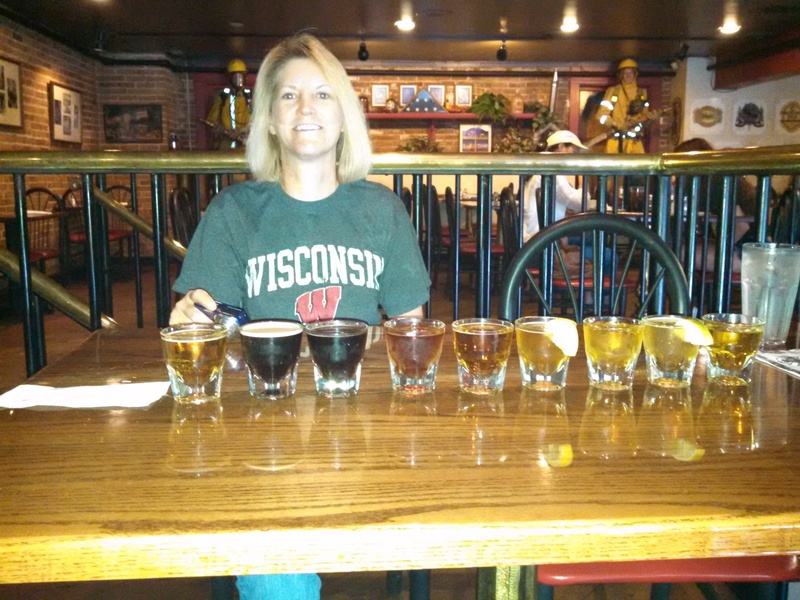 We did enjoy several of the selections at Stone Faces, but we did not care for most of the samples we tried at the other two. Quote for the day: Well ya see, Norm, it’s like this… A herd of buffalo can only move as fast as the slowest buffalo. And when the herd is hunted, it is the slowest and weakest ones at the back that are killed first. This natural selection is good for the herd as a whole, because the general speed and health of the whole group keeps improving by the regular killing of the weakest members. In much the same way, the human brain can only operate as fast as the slowest brain cells. Excessive intake of alcohol, as we know, kills brain cells. But naturally, it attacks the slowest and weakest brain cells first. In this way, regular consumption of beer eliminates the weaker brain cells, making the brain a faster and more efficient machine. That’s why you always feel smarter after a few beers.